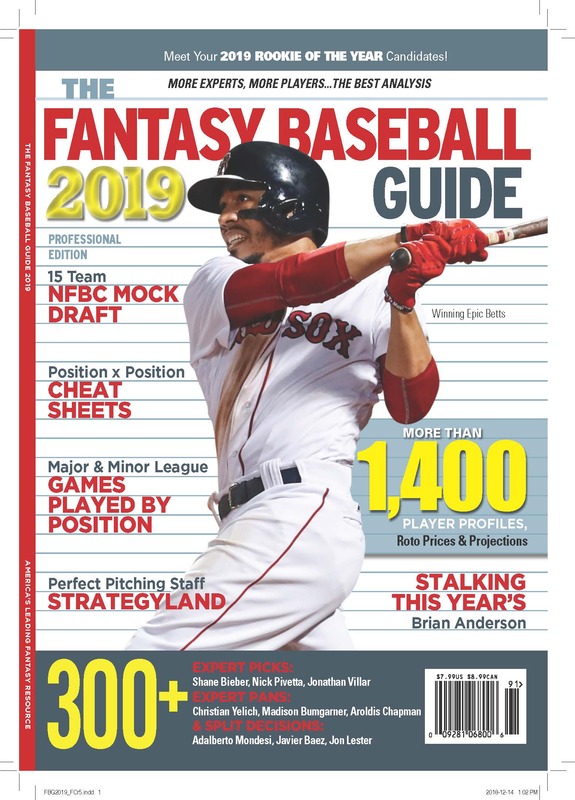 The Fantasy Baseball Guide 2010 is OUT NOW! Tom Tango said today he’ll be running the Forecasters Challenge again in 2010. The primary judging will come from the Pros-Joes format, which is described in the link above. The idea, basically, is to have each pro draft against 21 inferior lists. In last year’s challenge my projections ranked 3rd using this method. For the record, using the 22 pros against all the other pros, my projections ranked 5th. In the head to head scoring system, I was second division. Overall, Rotoworld and John Eric Hanson seemed to score the best. I was writing the profile of Stephen Strasburg for the Guide tonight, and chanced to visit the San Diego State baseball stats site. Strasburg’s line is incredible, which is why we’re all salivating over him, but the curious fact is that every player on the site has a link to a player page except Strasburg. I don’t have time to investigate now, but it would seem that SS has pulled a BB (remember when Barry Bonds removed himself from the MLBPA licensing agreements, so he could make his own deals? ), or else San Diego State doesn’t want to pay the bandwidth charges for all the people looking to read Mr. Strasburg’s bio. For those of you who follow the league of friends who are mostly in the fantasy baseball business, here is the draft sheet from the 2010 draft (took place in Phoenix on Nov. 6th). The red guys are keeps. I’ve written about Tom Tango’s Forecasters Challenge here before. Tom asked many of us to contribute our preseason rankings of baseball players based on a metric he devised to calculate a player’s contributions on the field. His plan was to run thousands of drafts from these lists. The team that performed best would be judged to be the best, most useful projection system. There was lots to like in this approach, though as Tom details in the report linked to here, there were also some surprises. He writes about some of the key structural ones, which have led him to run other iterations of the drafts, trying to find a format that gives a more nuanced judgment of the relative lists. There are three other points that I think should be made. First, there is a good chance that the weighting between hitting and pitching is off. This is certainly true of my team (which finished fifth of 22 in the original contest). Whether this is because I weighted hitting and pitching the same, which I did, or because I didn’t discount pitchers for their unreliablity, which I didn’t, or because I just undervalued hitters, something was off. Looking at the two components individually, which Tom has said he will do, should help us better understand how the original contest worked. Secondly, not everyone used straight projections. Some systems weighted for position scarcity. This wasn’t prohibited, so I’m not complaining, but when it comes time to analyze the results it should be understood that in at least a few cases sardines are being compared to mackerels. A simple correlation of all the projections systems to the final actual ranking would be of interest. Thirdly, as Tom notes about how Marcel handles players with no ML playing time, all systems use a sort of generic noise projection for the marginal players. This means in a correlation study that the noise can overwhelm the estimates of what players expected to have regular playing time will do. For this reason, I don’t think it would be a bad idea for Tom to run the drafts using a 12 or 15 team league format, so that not every projection system is in every league. This would mitigate the problem of small ranking differences being exagerated by the draft procedure, and may give us a better result. His head-to-head matchups are interesting, too, especially since so many ranks changed dramatically, but another angle of analysis on the data would certainly help us figure out what is better. These notes are not meant to be critical in any way. Tom’s enterprise has thrown off a whole bunch of interesting data, which I hope he will keep returning to all winter long. Once the magazine is done I expect to dig in, too. He deserves a mountain of credit for conceiving this project and seeing it through. Ideally, we’ll be able to do it again next year with a better idea of what we’re going for. Thanks Tom! One reads a lot of crap analysis about sports (well, and other stuff too), but this is totally on. It doesn’t mean that Boras isn’t a problem in the context of organized MLB baseball, but why would us fans choose to side with the owners and their uncounted stores of money, rather than the players, who make the game we like to watch with their talent? Â Minor League BallÂ John Sickels looks at all the starting pitchers with 10 or more win shares in 2008 and looks at where they were at when they stepped over to the professional game. First rounders have a big edge, but what stands out is that successful pitchers come from everywhere. A similar list tracking the last 20 Â or more years would be of great interest, if anyone has time tomorrow (or the next day), since the list itself isn’t exactly objective. I would assume that the way scouts and organizations work has changed over the years, and this would be reflected. Or, more tantalyzingly, maybe not. On Friday I published a list of the team I hoped to get in Tout Wars. For two days I thought I had a pretty good shot. But fate intervened. The first bit of fate, I targeted Roy Oswalt for $25. I saw no reason not to bid $25 on Brandon Webb, and I got him. A little while later perennial champion Mike Lombardo bid $25 on Cole Hamels. Going once… going twice… it was clear no one was stepping in. I bid $26 and I had Hamels for $26 instead of Volquez/Cain for $18. But enough of that. If I’m ever going to actually buy the team I set out to I’m going to have to quit price enforcing pitchers. The other story of this draft is that there were two parts. Everyone I talked to afterward said they either 1) had a good start and a bad finish, or 2) a bad start and a good finish. I had a dreadful finish, as the talent pool collapsed and I lacked a second catcher and a third baseman. I can’t stress it too much. In a 13 team NL league you have to fill those slots early. There aren’t enough players otherwise. How did I fall into this mistake? I’m going to blame my computer. I don’t think computers help us draft better teams, but after spending all day at Tout on Saturday, I really didn’t want to get into formatting the printing of my lists Saturday night. Heck, I figured, I’ll just draft from my lists in Excel. It really went okay, no major glitches, I didn’t crash or anything, but when push came to shove I spent more time bookkeeping and less time managing my draft. I love computers for all sorts of tasks, but managing Â a draft is best done with pen and paper, I think. C: Russell Martin 26–As expected, Lombardo picked off two top catchers. That didn’t drive down prices, but I was resolved to get Martin, who went for $2 over my price. As one of the two best players at a scarce position, I don’t think there’s any problem at all getting him rather than being cheap and not getting him. C-Yorvit Torrealba 3–No future in Colorado, but maybe he’ll land someplace he’ll play. This was where I landed after declining to bid more than $8 on Nick Hundley, who I really wanted. The other options were all dreck. I’m not sure I would have gotten Hundley for $9, but that was the right move. Now I have to root for a beneficial trade, wondering how he got beat out for the backup job to Sal Fasano. 1B-James Loney 18–From the fun, early part of the draft. Productive youngster at a good price. I’m very happy. 3B-Martin Prado 3–From the dismal, late part of the draft. My best choices were Prado and Rich Aurilia. The job in Atlanta is Prado’s if Chipper Jones goes down. The good news is that Chipper always gets hurt, and Prado won’t hurt me when he plays. CI-Todd Helton 13–He was one of my targets. He’s been healthy enough to have a strong spring during which he’s hit with some power. Homers would be sweet, but if can score 400 AB with a .300 BA I’ll be happy. 2B–Kaz Matsui 12–Everyone hates him so much his steals go for market value. The injury risk is real, but the price (which isn’t cheap) makes that less important. I’m keen on Kaz this year. SS–Troy Tulowitski 18–He destroyed my team last year. Payback, baby. 2B–Eugenio Velez 6–This was a stretch. You have to like his speed and game, and 2B was getting thin. But there are real playing time issues out there in SF. He could be painful to play. OF–Randy Winn 14–I had him targetted, and the bidding stopped a few dollars earlier than I expected, so I’m not complaining. He’s getting older, so I count him as somewhat risky, but he’s a solid guy at a good price. OF–Hunter Pence 24–This was the price I had for him. He’s the right age, with the right blooming talent, to make one optimistic. It’s hard to see him doing less, and there is some potential he’ll grow into more. OF–Adam Dunn 18–I wanted Jay Bruce at 18 and he went for $24 or so. I thought Dunn would go for $24 but he fell to $18. I’ll take the trade, though Dunn’s BA kept me from going after other guys with bad BA. OF–Craig Monroe 1–I nominated him, of course. He’s the kind of forgotten guy who makes a good endgame pick, but his spring has been strong enough I thought he’d get bid up. Nope. No love for Monroe from the room. I’m not unhappy to have him, but by nominating him when I did and getting him for a buck I created a cash crisis–too much of it–which made the rest of my afternoon miserable. OF–Josh Anderson 6–He was the most expensive outfielder left, though the emergence of Jordan Schafer diminishes his role, perhaps totally. There is an attempt to deal him, to the White Sox perhaps, in the works, so this could work out. But right now it feels a little desperate. UT–Carlos Gonzalez 1–My first reserve pick. Not a bad one. But I have too many hitters here with undefined or negligible roles. I blame my laptop. P–Cole Hamels 26–Another ace. I’m worried about his health, but given what we know now the price is a fair discount. I have to admit, I jumped in because Lombardo was going to get him. Instead he spent $20 on Gallardo. P–Chris Carpenter 10–He owes me for wrecking my 2007. It’s payback! P–Chris Young 12–The price was way lower than my perhaps overly optimistic one. He could crater, his arm is acting up and maybe that explains his struggles, but given the price and the breadth of my staff (which I was building) the risk seems acceptable. P–Anibel Sanchez 3–I like starters with big league history who are approaching their mid 20s. But this is a flyer and the worst thing to do is be too attached if he starts out floundering. P–Scott Olson 5–I have him in every league I’m in. Call it a hunch and a pitchers park. P–Ramon Ramirez 1–He looked awfully good last year. He’s in Louisville for now, getting work he didn’t get while playing in the WBC, but he’ll be back. P–Aaron Cook 6–You have to change with the times, as far as the Coors effect goes, and Cook has shown he can handle it. The price is less than I had budgeted for him. P–Jon Garland 3–The league change might help, the stadium, too. He’s coming off a bad year, but most of his have been okay to good. And he’s cheap enough to dump, if need be. The reserves are a mixed bag. Alcides Escobar could be good speed in the middle infield if the Brewers reset this year. JR Towles is a bet against I-Rod. Brian Barden is a utility possibility behind all the uncertain St. Louis infield positions. And I always have to have Corey Patterson. Scott Pianowski announced post-draft that based on his projections this was a winning team.Â Not unless I do some things right during the season. You’ll find all the draft results at toutwars.com. There will also be polls and a modified form of Doubt Wars there starting tomorrow. Feel free to comment. I’ve never seen anyone use this method for draft tracking. The basic idea: Set target goals to finish third in each category. Then rate players on your draft sheet by the percentage of the total you need in each category they provide. I’m always skeptical of these sorts of strategies, because assuming that everyone knows what they’re doing, the value they pull out of the draft or auction is going to be roughly equivalent. Which means you should not be able to walk away from the draft board with a winning team. The proof of this is that in the example the writer uses seven of his first nine picks on hitters and just barely picks up 50 percent of the totals he needs in Runs, RBI and HR. You have to assume he’s not going to do better than that with his last seven picks. But in leagues that don’t have much trading, especially, this seems like it would be an effective way to make sure you draft a balanced team. These are random notes on the Peter Kreutzer entry in this year’s Tout Wars NL. The idea is to give some context for the picks, why I made the final bid and when, plus any other tidbits along the way. The big issue in this draft was that prices were generally right on. Only a few players (Chris Snyder, Ty Wigginton, Yunel Escobar, Lastings Milledge) ended up more than a few dollars off my bid prices. So in most cases the bidding quickly got to the area of the price, and then it just depended if two guys wanted to swap bids or not at that point. Before Tout I make up a list of players I’d like at my prices that add up to the $260 budget, and I try to work from that. In the NL in recent years there are lots of stars but very little depth among hitters. I targetted Troy Tulowitzki and Brandon Phillips and held out some hope to pick up David Wright, though my $41 target was not aggressive. Wright was nominated first and almost immediately went to $42 and I opted not to go past my budget. I did pick up Tulowitzky for $27 and could have made a bid on Phillips at $30, but I flinched and he went for $29. As I didn’t make that bid it ran through my mind I had him elsewhere, and I didn’t really want to make commitment bets in two leagues on him, though I think he’s no fluke. On the pitching side I wanted to take many mid-teen potential aces with some level of injury discount. The odd thing is that the first one I bought was Carlos Zambrano. I have injury built into his projection and bid price, which is unusual, yet when I was price enforcing at $20 he became mine. Okay. Enough prelude, here’s the team in position order. Catchers: Dave Ross $3 and Eric Munson $2. The good catchers went for decent prices (Martin $26, McCann $18, both to Mike Lombardo, current champ), while the riskier mediocre hitters (Carlos Ruiz $11, Michael Barrett $9) went for too much. Ross and Munson went for too much but at that point I had the cash and the pickins were awfully thin. One hopes for just enough AB to get some positive power numbers. Corners: Todd Helton $19, Chad Tracy $5, Ian Stewart $1. Helton was a good price early, I thought. Tracy will start the year on the DL, but at that price he can miss some time and I’ll be okay. The collapse of talent at 3B was a problem. Mark Reynolds and Nomar went cheaply ($8 and $4 respectively) but I let them go, and Kouzmanoff ($19) and Wigginton and Yunel Escobar went for a lot, so I let them go. Middle: Tulowitzky went for his price. I like Miguel Tejada for $19, like I like Helton. Tad Iguchi for $8 is a good price, those his power will be neutralized a bit in that ballpark. Reyes went for $44, Ramirez for $40, and Rollins for $36. Outfield: Juan Pierre at $16 wasn’t a buy I ever expected to make, but the price is good enough, I needed speed, and we get to keep his stats if he were to end up in the AL. Brad Hawpe at $23 is a fair enough price for another guy I have no shine for. I did like that he was a Rockie. Adam Dunn at $23 is a good price for a big power hitter, especially since I seemed to be compiling a team that didn’t value batting average much. Corey Patterson at $15 is the speed version of Dunn and one hopes that they don’t crash into each other chasing a short pop up. Final outielder, as it were, was Cody Ross, who should end up the regular center fielder in Miami. A regular (or close to it) for $3 can’t be bad, even though Ross isn’t all that good. Utility: I had $4 and one slot left and it was my turn to nominated. Scott Podsednick has been having a good spring, and like so many of my players is a Rockie. It’s a shot. Starters: Zambrano is joined by Pedro Martinez ($14) and Ben Sheets ($15), who are both having strong springs. The injury risk is high, which is why I could afford the three of them. If two play most of the season I should be okay. Noah Lowry $1 and Ryan Dempster $1 were crickets. I didn’t expect to get Lowry. He’s hurt and his WHIP may be especially painful coupled with Zambrano’s when he ‘s healthy. Dempster is having an excellent spring adjusting to starting. Final two slots went to Chuck James $3, also hurting but talented and supposedly coming back, and Carlos Villanueva $6, who has been very good the last two years, but has been squeezed this spring, perhaps it turns out all the way to Triple-A because he has an option. But with Capuano’s injury and I hope not Sheets’ he’ll see plenty of time Milwaukee. Closers: Takashi Saito $22 was at the top end of the top prices for closers, as I had him rated. But I had him for $27, so he seemed like a bargain until all the other closers sold for similar prices. The closer game is kind of like a draft. We each take one really good one, one risky one, and perhaps a CIW. My risky closer is Kerry Wood $10, who has looked good this spring, but like so much of this team, comes with upside and injury potential intertwined. Reserves: I got Mike Hampton (injury prone, having a nice spring) in the first round, shoring up one of my problem areas. In later rounds I got Yusmiero Petit, having a breakout kind of spring, Jonathan Meloan, in Triple-A but will end up in the bullpen at some point behind Saito, Joe Koshansky, as some overreaching Helton insurance, and Chris Sampson and Victor Diaz, late in the game, just because you can’t too many pitchers or outfielders. After the draft Corey Schwartz told me that my team finished, based on his projections, in a three way tie for second. There is a lot of work to do, and injuries will be an issue (hopefully a manageable one), but this is the start.